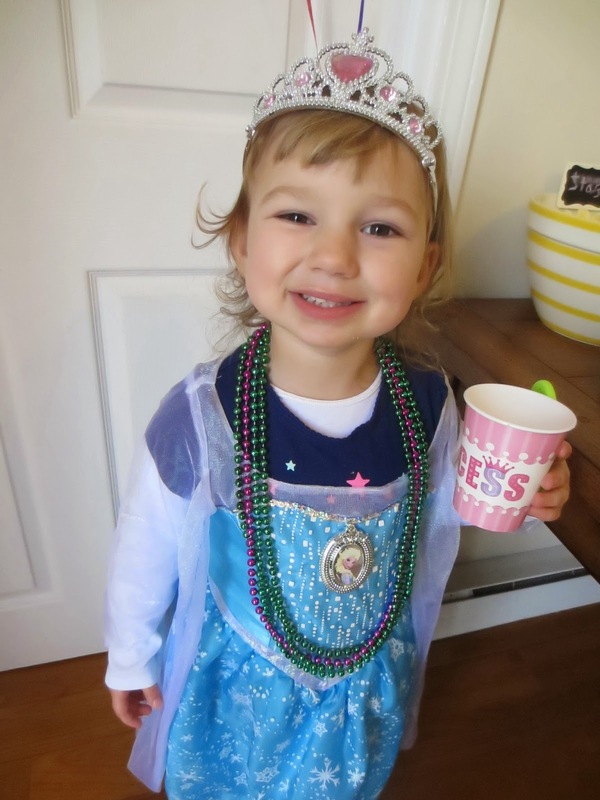 the Mommy Stories: a Twinkle Little Star party for our princess! 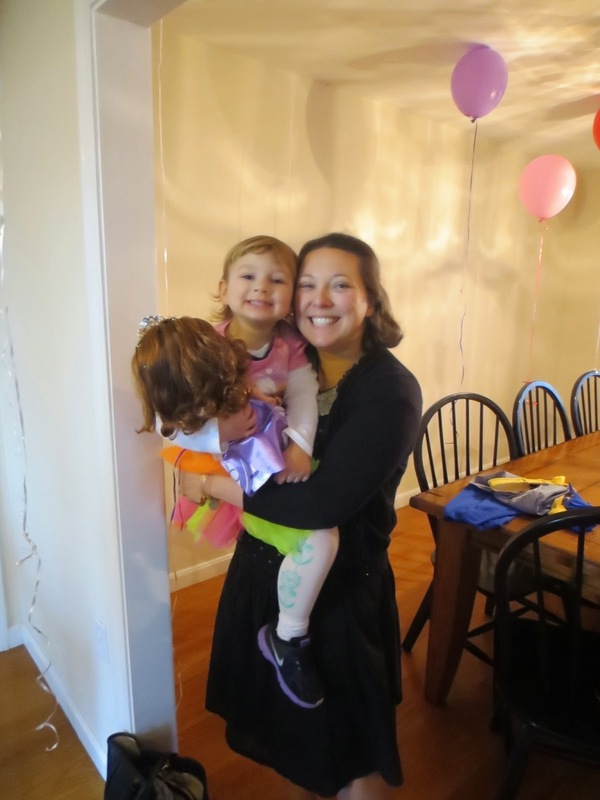 a Twinkle Little Star party for our princess! My daughter is in love with all things girlie lately. She adores everything related to the movie Frozen, sings to us nonstop, dances everywhere she goes, even if just walking to the car or in a grocery store- dancing is her thing. She's animated and silly and of course very sassy, as we call her the Diva around here. 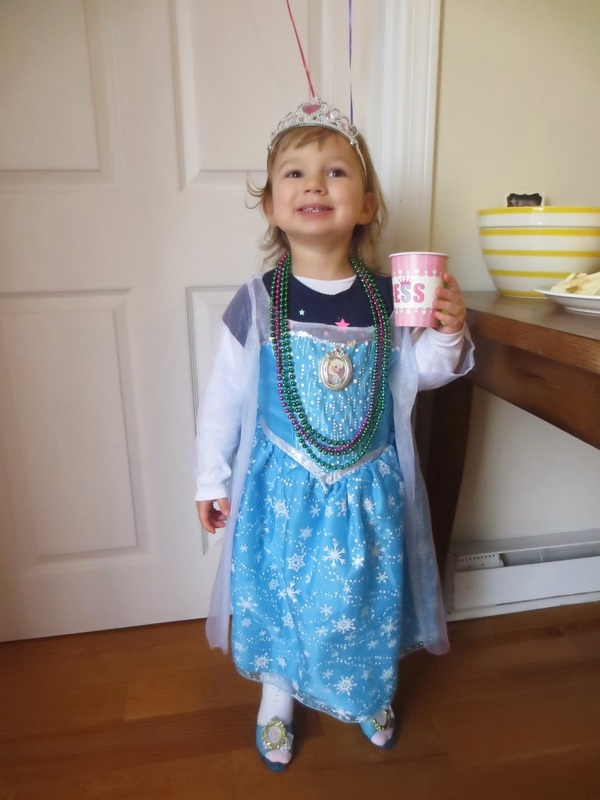 So of course, her third birthday party would be all about that sass with the theme of Twinkle Little Star (her favorite bed time lullaby this past year and the idea that she's a super star) and princess dress up. 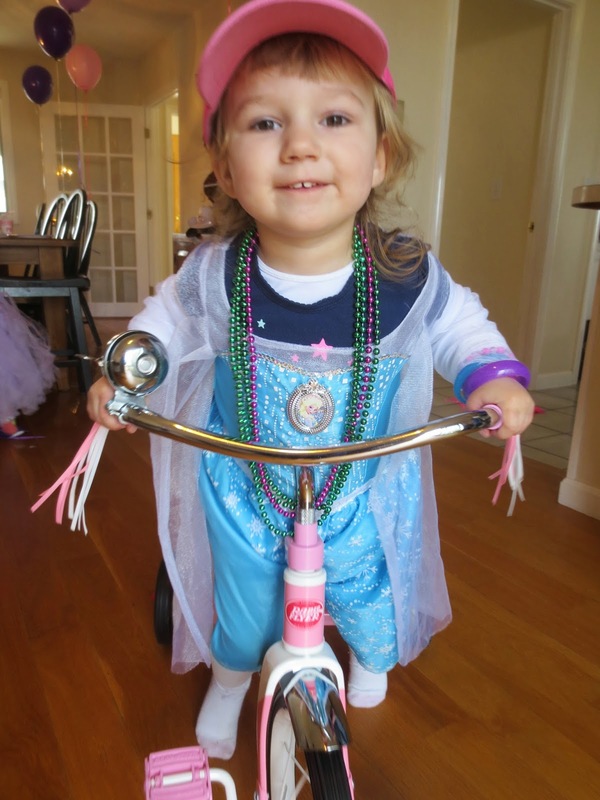 She LOVES dressing up at home, so putting all of her favorites together into one theme was what we did this year as she turned three. The result? SO MUCH FUN! This was a mom's dream come true - planning something so super ridiculously girlie for my daughter. 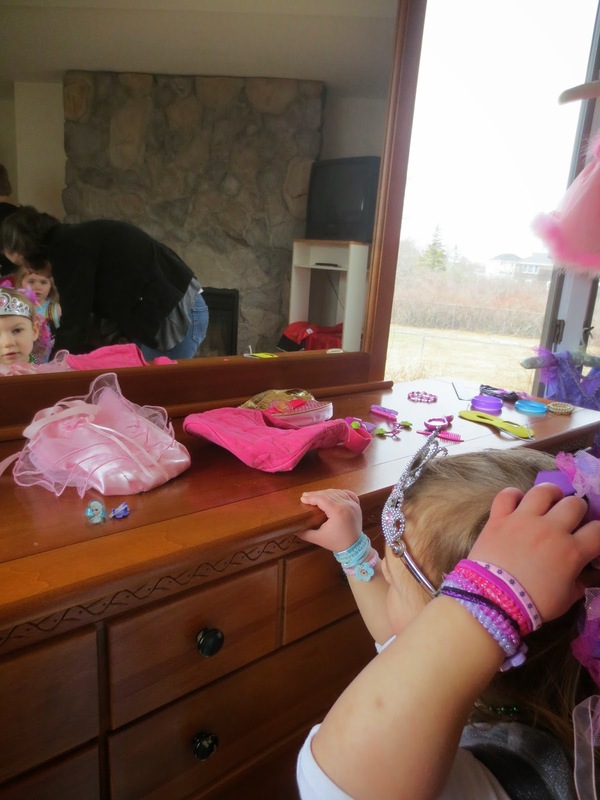 She's a tomboy too a lot of the times, digging in dirt, wearing her brother's hand-me-downs, but doing this princess dress up tiara thing was a delight for this mama! I scored all the adorable princess plates, cups, napkins and straws at the Dollar Tree months in advance. It pays to have a theme early on. 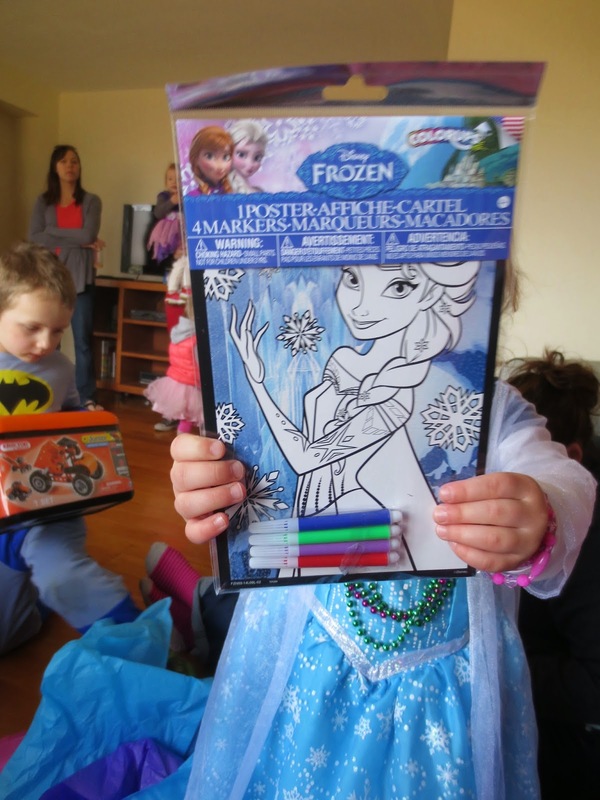 My daughter specifically said we needed purple and pink - her favorite colors - so I was delighted to not only find those colors but the princess theme right on the paper goods! I took this picture before balloons arrived, but we had TONS of pink and purple and Frozen balloons for every chair and all around as our main decoration. I think balloons add so much fun to a party! My very favorite part about the party was the dress up room. We had the party at a vacant, seasonal home that my father rents out in the summers, so luckily we had the lay of the land, plenty of space, and area to set up. I decorated this room below as a sort of dressing room for the princesses and princes! 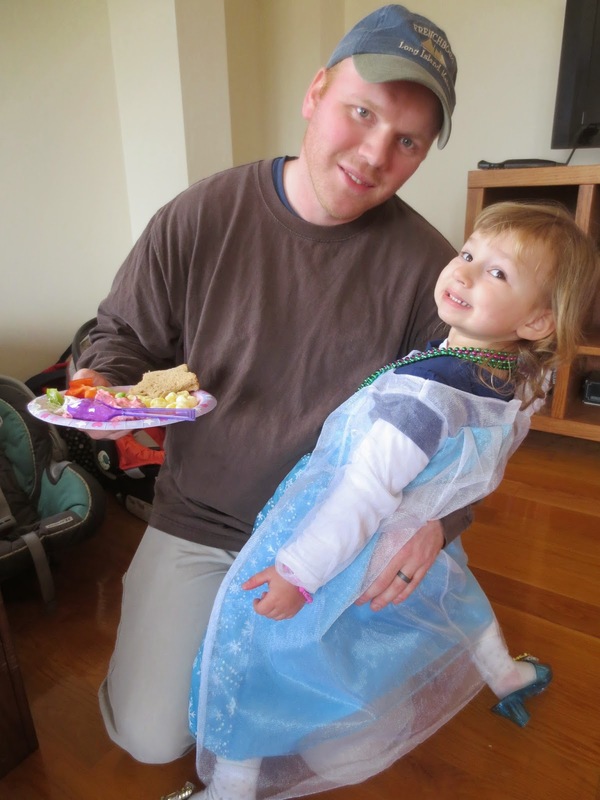 My niece thankfully gave us tons of tutus and dance costumes she'd worn over the years, so we had plenty of dress up attire. I didn't spend a dollar on this activity! Tutus on the bed, super hero capes to the right, dress up costumes hung with fancy hangers on the windows, and tons of bracelets, necklaces, belts, purses, etc. on the dresser near the mirror. 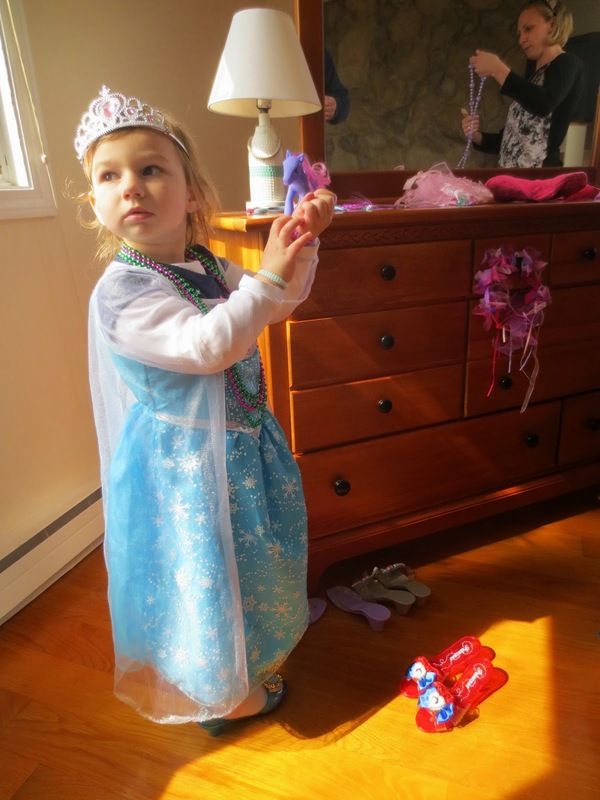 Then tons of kids' dress up princess heel shoes on the floor - this was definitely a hit among the kids! Seriously, go back in time to when you were a little girl, would this not have been your favorite thing EVER to dress up in all this stuff?! The difficult part about this party for me was how gender specific it was. Princesses = pink and frilly and girlie, so what about all the boys?! I'm all about being gender neutral, girls can be super heroes, boys can be princesses if they want. 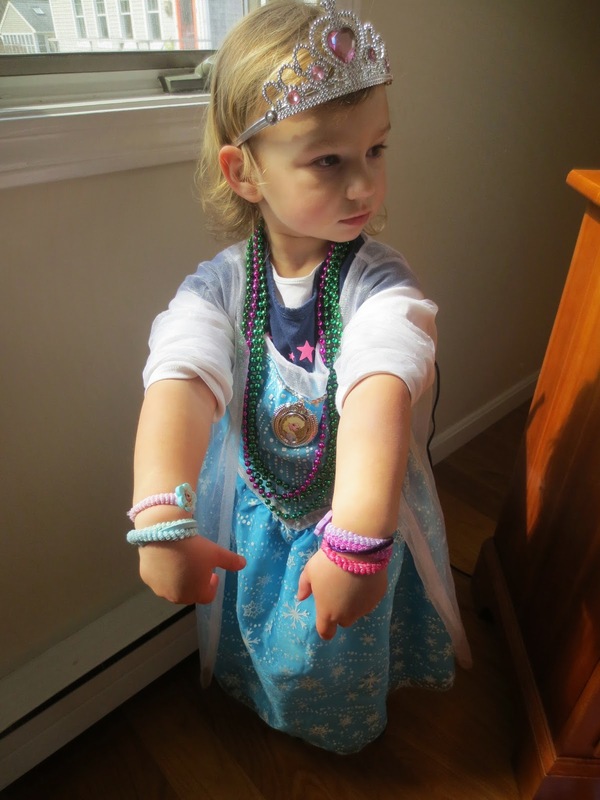 But my daughter is girlie and wanted all princess stuff, so I went with it. In order to include all the boys (we have a big brother and many boy cousins), I added in the super hero masks and capes, as well as some knights and prince type things for the goodie bags. I think everybody had a fun time, so it worked out great! My princess LOVED this room more than any other kid at the party, which is adorable since it's all her stuff that she plays with at home all the time anyway! She was SO excited by it! This made my day more than any other part of the party. It came out just as I envisioned. A lot of kids came already dressed up, so they didn't need things in this room, so cute to see everyone! Star shaped Peanut Butter and Jelly Sandwiches - you have no idea how quickly these went! People loved them! I got the adorable chalkboard signs at Target in the dollar section. Love the chalkboard look. I was so happy to find this cake at Market Basket the day before the party. My mom brain made me forget to even consider what I'd do about a cake, order one, etc. so I was SO psyched to find one in all of her favorite colors and cute flowers on it. I had them add the purple stars and her name, voila, adorable! She LOVED it. 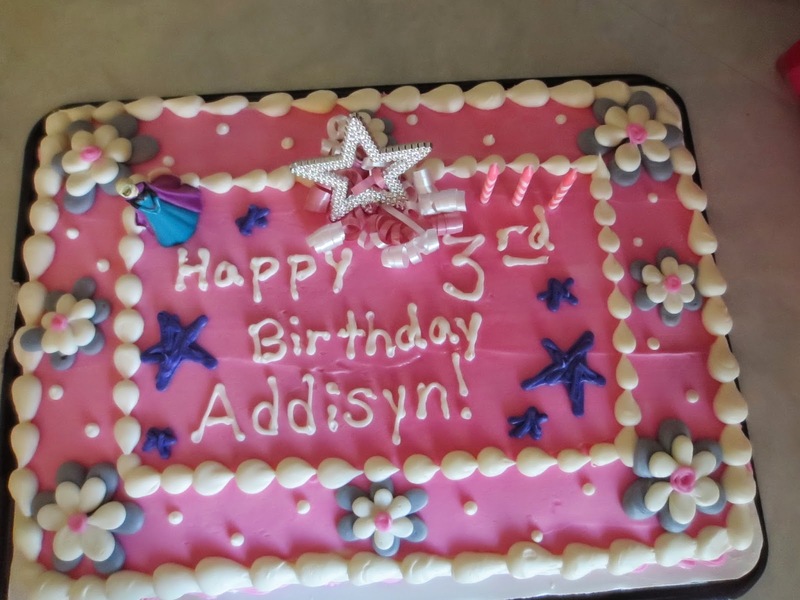 I had broken apart a magic wand to get the star on the cake and stolen her Elsa figurine to add to the top. She loved it! She told me at the end of the day that the cake was her favorite part of her birthday party. This was her original outfit- Lucky Star shirt I found at Target months ago, and a pink tutu skirt. 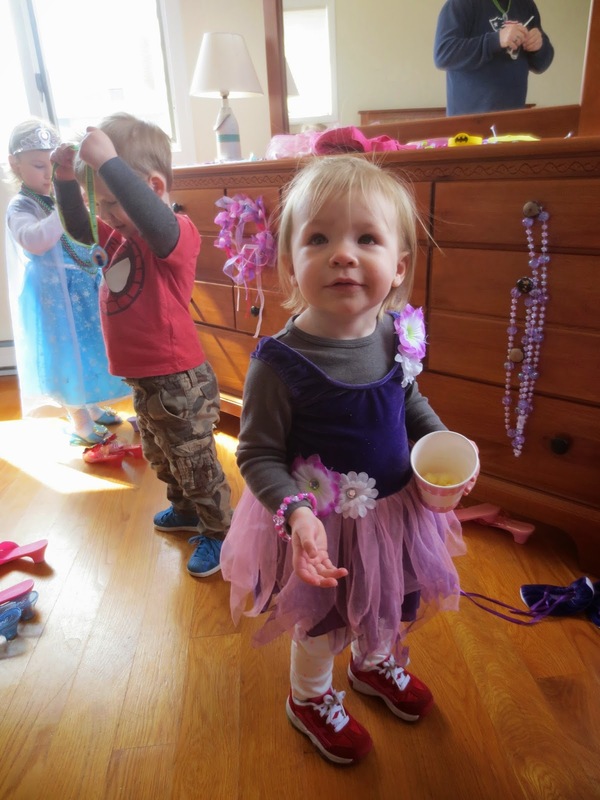 Everybody needs to wear a tutu for her birthday party, right?! For the treat bags, I found the actual bags at the Dollar Tree. I got a bunch of rings and bracelets and necklaces at the Dollar Tree and Target dollar bin also. I found pink crowns that kids could decorate in the dollar bin at Target also. Then for the princes, I found little figure Knights, I could not believe my luck in finding these, also at Target, some figures, cars, stickers, and bubble wands as swords. I got little books for the babies who attended the party. 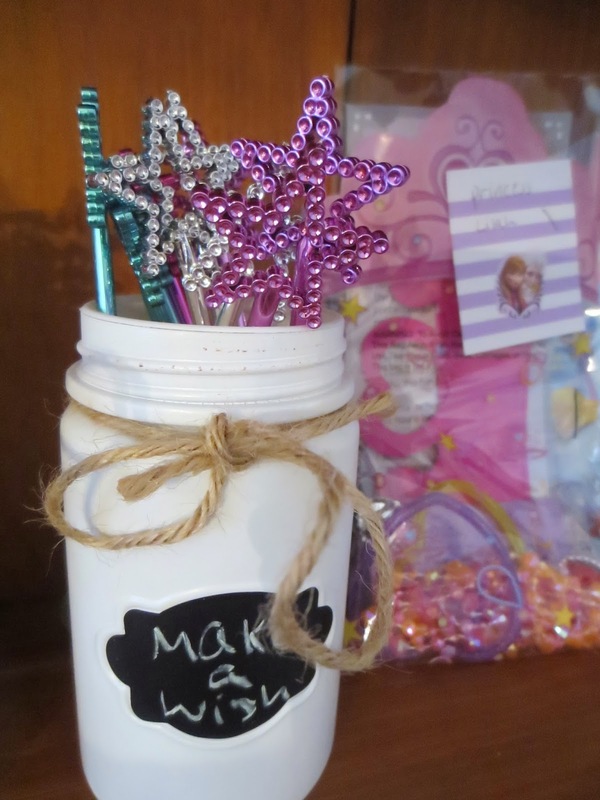 I was so excited when I found these magic wands in the shape of stars at the Dollar Tree - combining in all of my daughter's favorite things in one cool treat. She literally hugged her gifts! 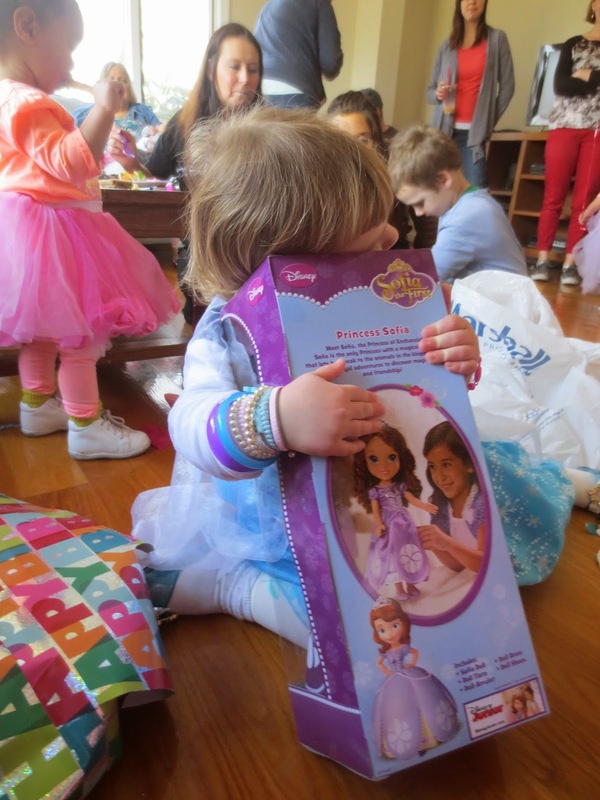 This Princess Sophia doll was a hit! 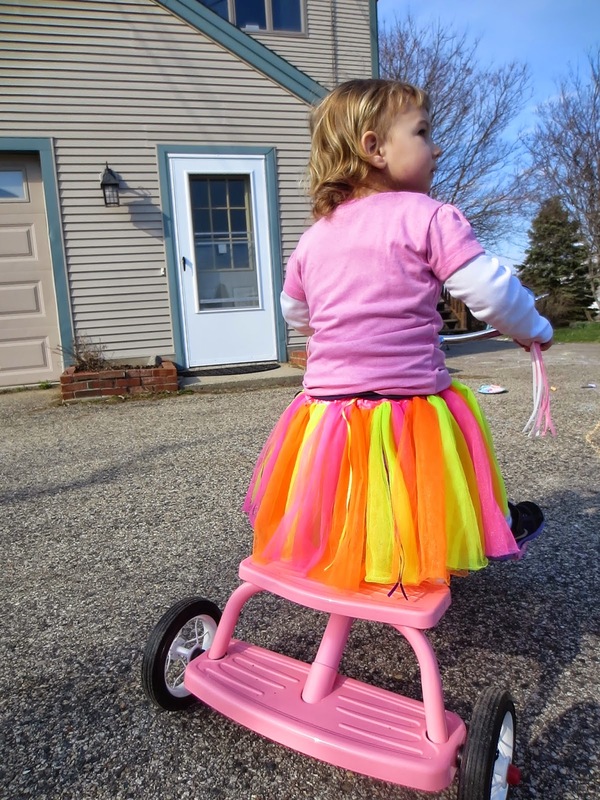 Favorite gift alert: new tricycle! She loved this! 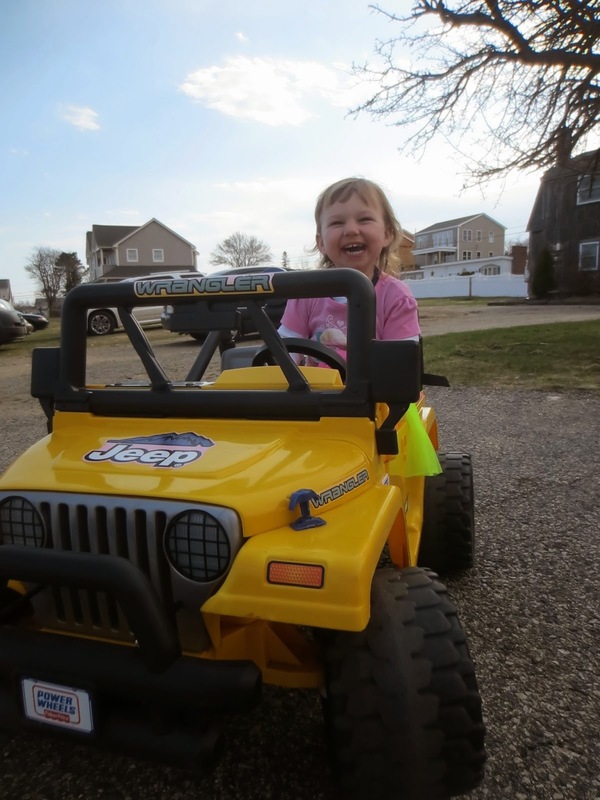 I scored this awesome yellow Jeep for her at a consignment sale for $30! She was pumped! 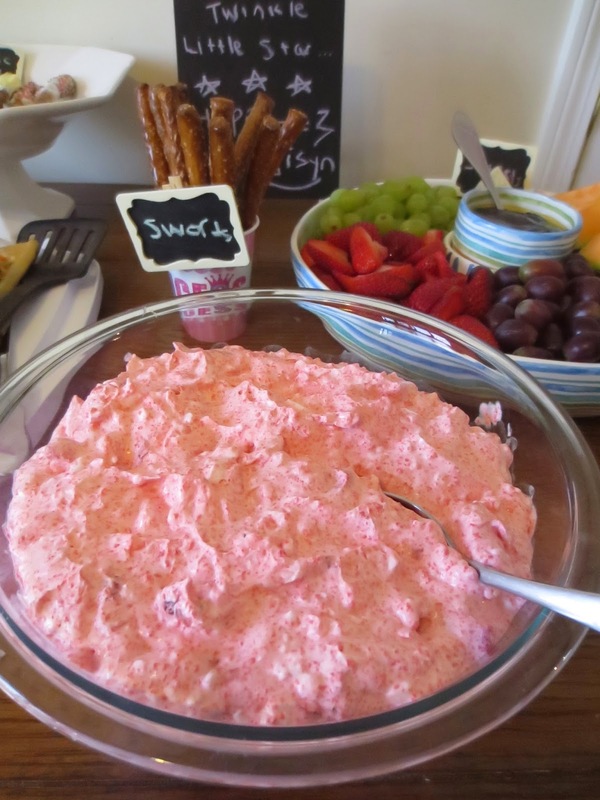 Chalk is a must for outdoor spring time parties. Of course my little princess was too busy running away from me to sit on her name where I wrote in chalk, but it's cute! A spoiled little Diva, she loved her party! Still can't believe how my baby girl is THREE! I'm so happy at how this party turned out. She made me wear a skirt "We wear skirts and dresses, Mama, and my sneakers. You wear skirt, too." Love it. book - How Do You Tuck In A Superhero?